Are you new to developing with Apple software? This blog is perfect for beginners and explains the tools you need to begin iOS app development. Before starting application development, you will need to set up the application development environment. This is a software development kit released by Apple that enables developers to write iPhone, iPod, and iPad applications. The iOS SDK includes Xcode IDE, phone simulator, frameworks, and compliers. To download iOS SDK you must have an Apple developer account. The software occupies about 500 MB of storage space. 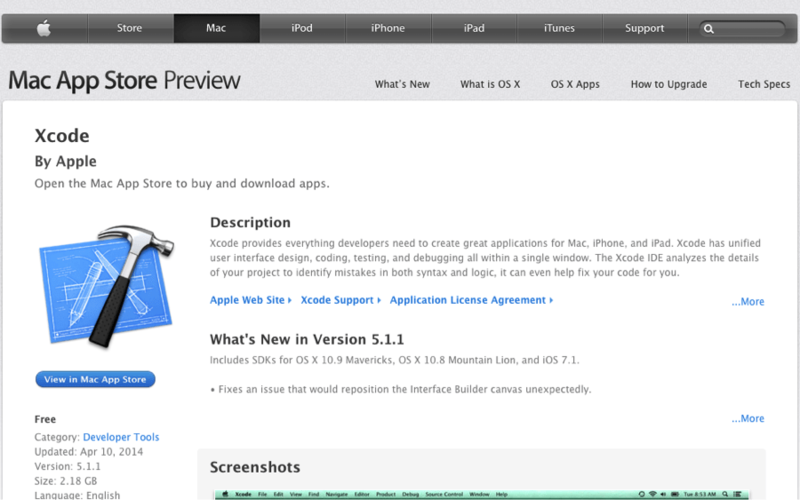 Click the above link, and Xcode will open on a browser and will show you the following screen. Click on the “View in Mac App Store” button and then click Launch Application when prompted. It will open the App Store application on your Mac. Once you enter your account information, your application download will start. 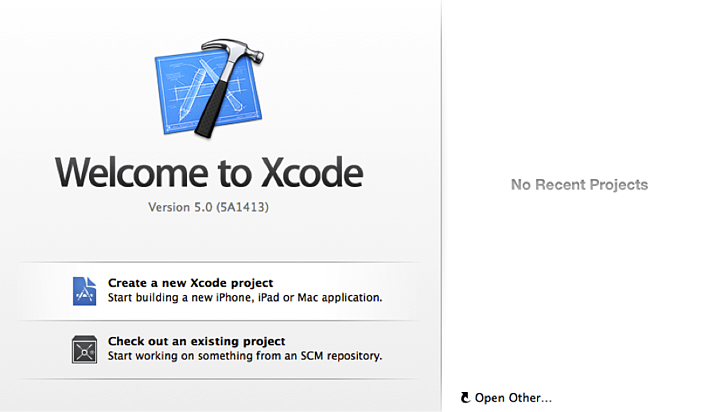 After Xcode downloads, it’s now time to start your application development. 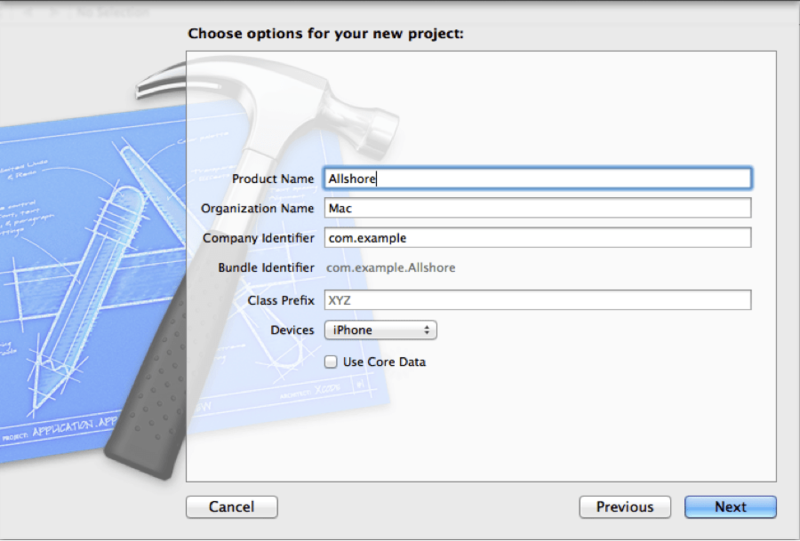 Open Xcode and click the “Create new Xcode Project” option. 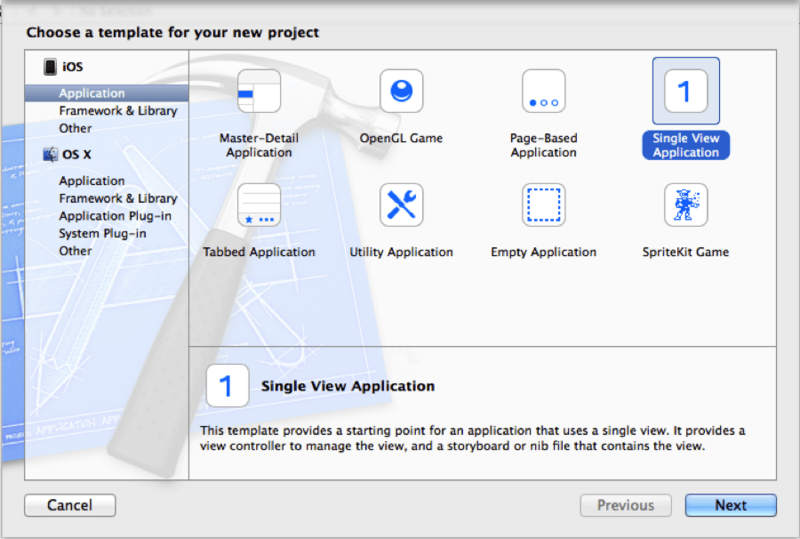 There are many templates in Xcode, but we will start with the Single View Application template. Click next and then fill in your information on the next screen. After clicking next, Xcode opens with a new window known as the Work Space Window. From here you can create and run applications. 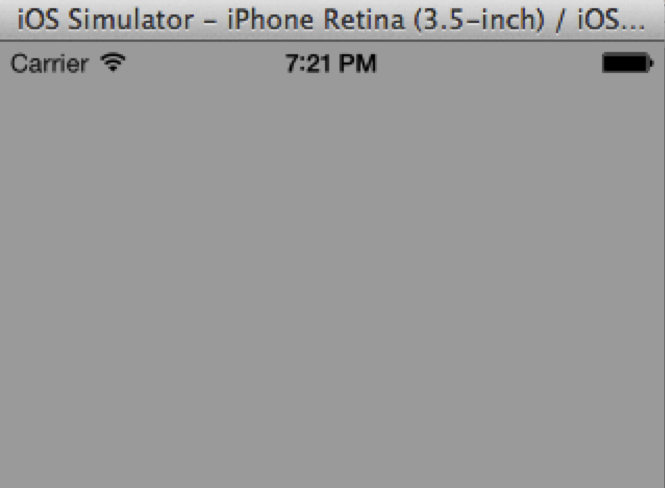 At the top of the screen in the tool bar area, select iPhone retina (3.5 –inch). Click on the “Run” button (circled in the photo below) to run the application in a simulator. The simulator is a testing device for applications before you run them on an actual device. The iOS Simulator lets you test your applications quickly as you build them, and can simulate multiple devices. After running the application on the simulator, you will see a blank screen like the one below. You have now successfully set up all you need to create your first application. Now that you have Xcode working, I will explain the software more in depth. 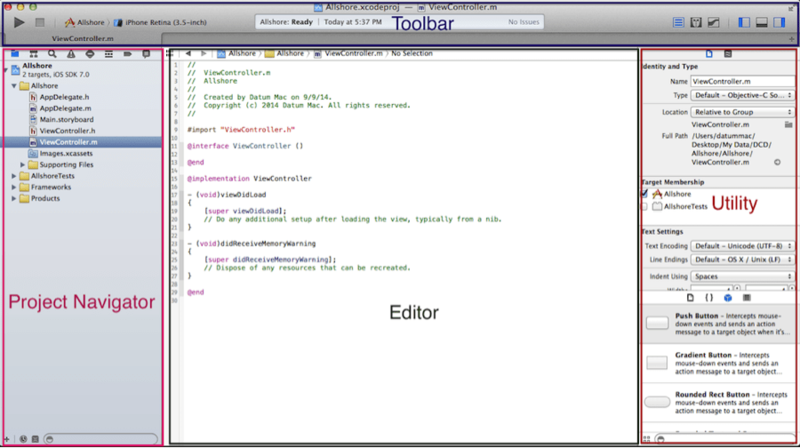 Xcode has four main areas, which are shown in the figure below. The toolbar area gives you easy access to popular project configurations and management tools. Use the project navigator area to view and access different aspects of your project including files and folders. 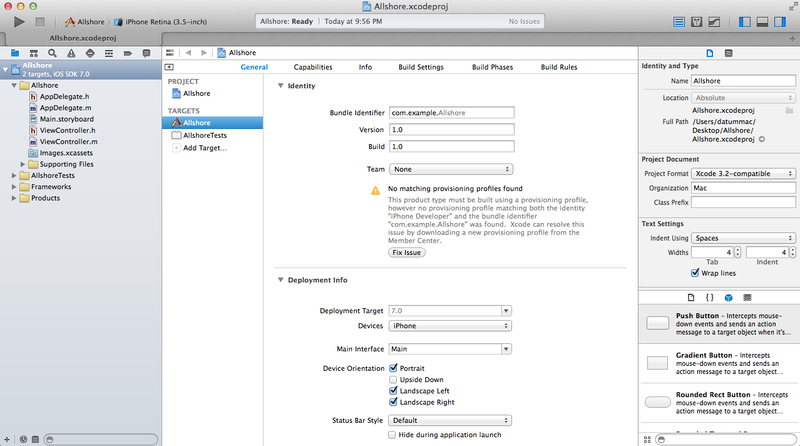 This is the main area in the Xcode workspace that is always in the middle of the screen. Most development work is done in this area. The utility area allows to you use inspectors and available templates in your project. 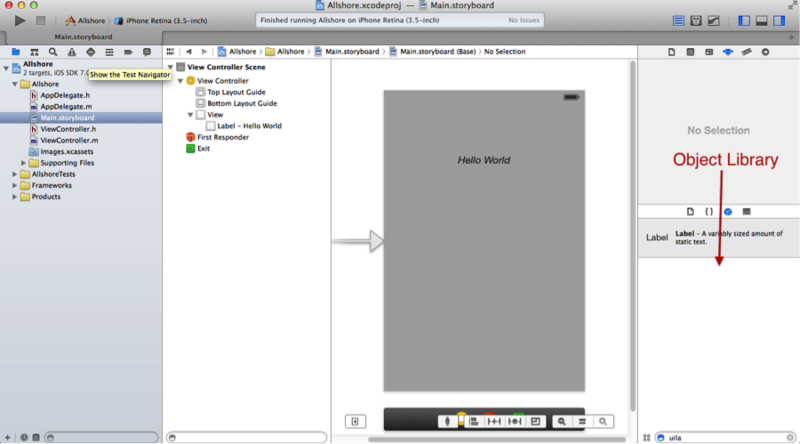 Storyboard is a new feature for iOS developers and is introduced in Xcode 4.2 and iOS 5 SDK. Before Storyboard, developers could only work on a single screen of the application at a time. With storyboard you can see all screens at once. Now, click on the Main.Storyboard file in your project navigator area, and you will see a visual editor in the Editor Area where you can place your controls. 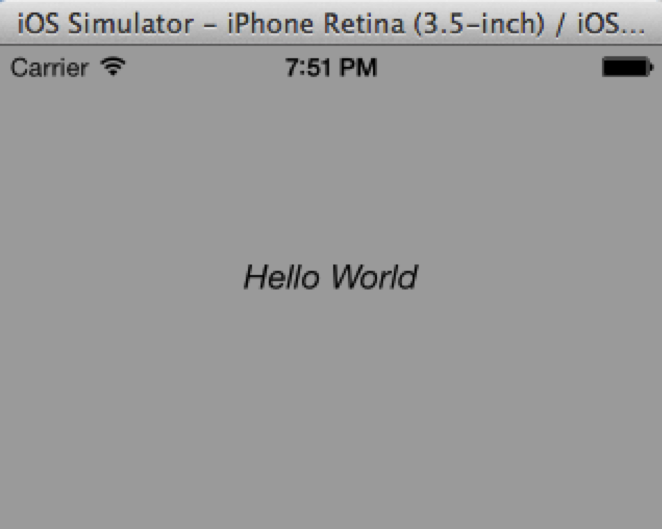 Now run the application (the arrow button in the top left of the screen), and you will see "Hello World" on your simulator screen. Congratulations! You have now created your first iOS application! We are a collaborative company at Allshore Virtual Staffing, and encourage our employees to contribute content such as this.Allshore is a remote staffing agency helping startups in the U.S. hire remote software engineers to work as full-time employees. Allshore provides all technical and managerial support via our client services and technology mentorship teams based in Norman, Okla. Contact Allshore today to schedule a free consultation call with a remote staffing specialist or request a free trial of our services.